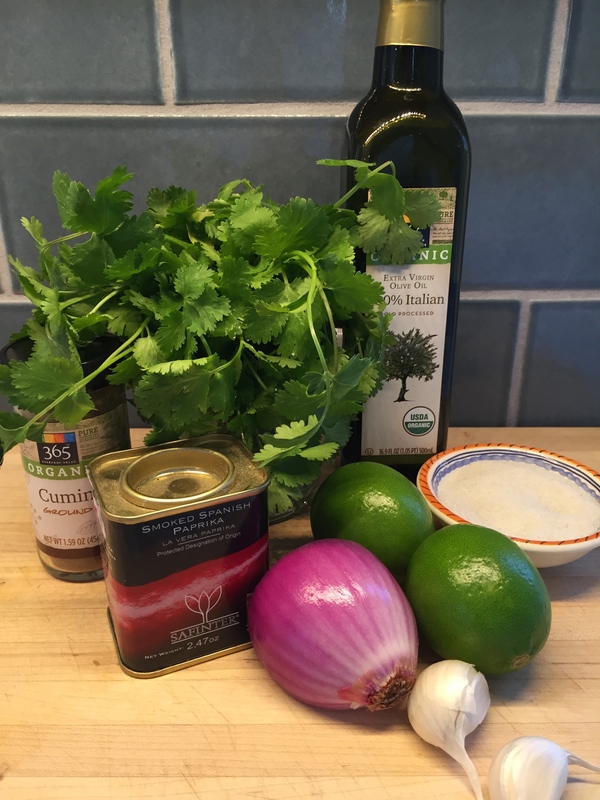 May 5th is just around the corner… why not make something Mexican inspired for dinner? 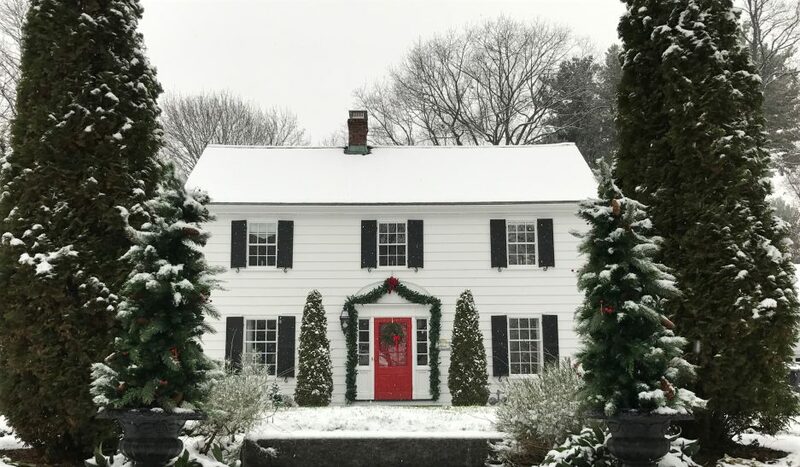 For centuries people have been gathering around the table to break bread together, nurturing their bodies as well as their relationships with family and friends, old and new. Preparing and sharing a meal together, whether it’s a recipe that’s been in your family for generations, or a neighbor’s family, or a stranger’s family from the other side of the world is a beautiful way to connect with and appreciate other cultures. And who doesn’t like to eat!?! 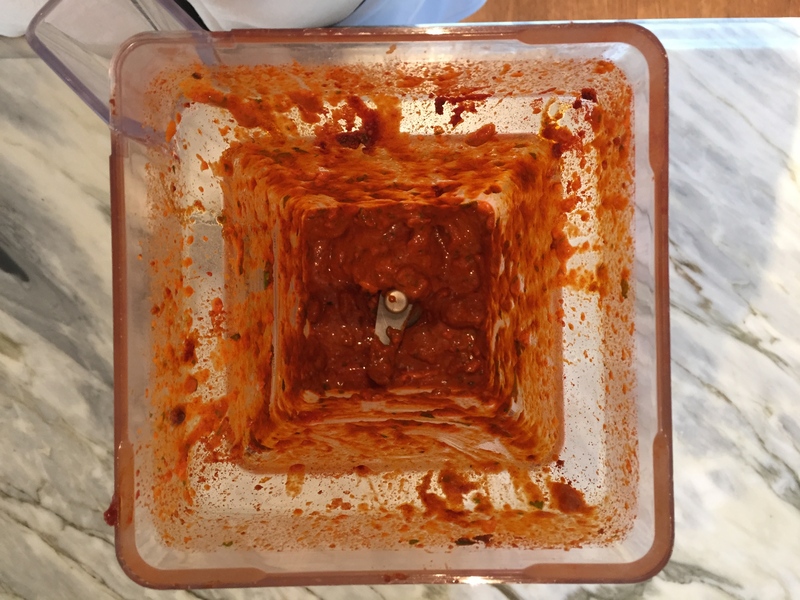 Puree garlic, lime juice, oil, onion, paprika, cilantro, cumin, and salt in a blender until smooth. It will resemble a thick paste. Transfer steak to shallow casserole or baking dish. 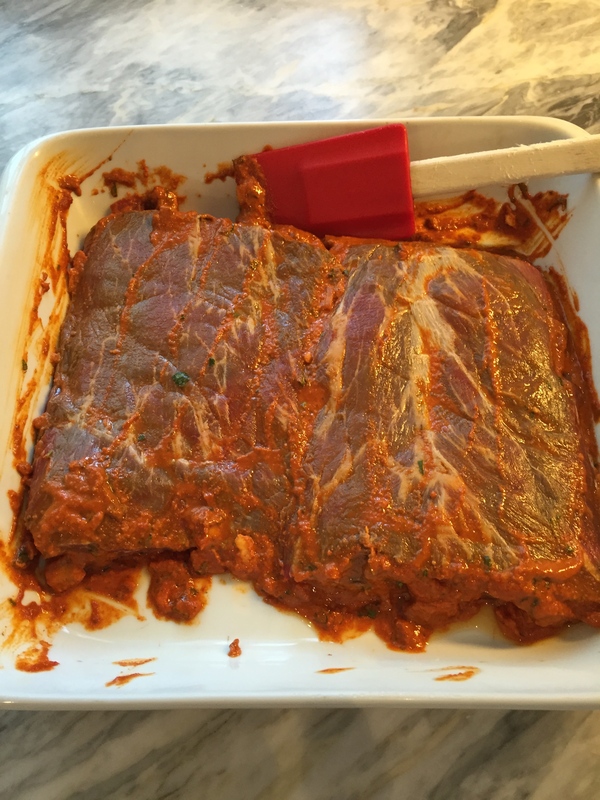 Top with marinade, spreading all over. Turn to coat other side of the steaks as well. Cover with foil or plastic wrap and chill for at least 4 hours. *Can also be marinated 1 day ahead. Keep chilled. 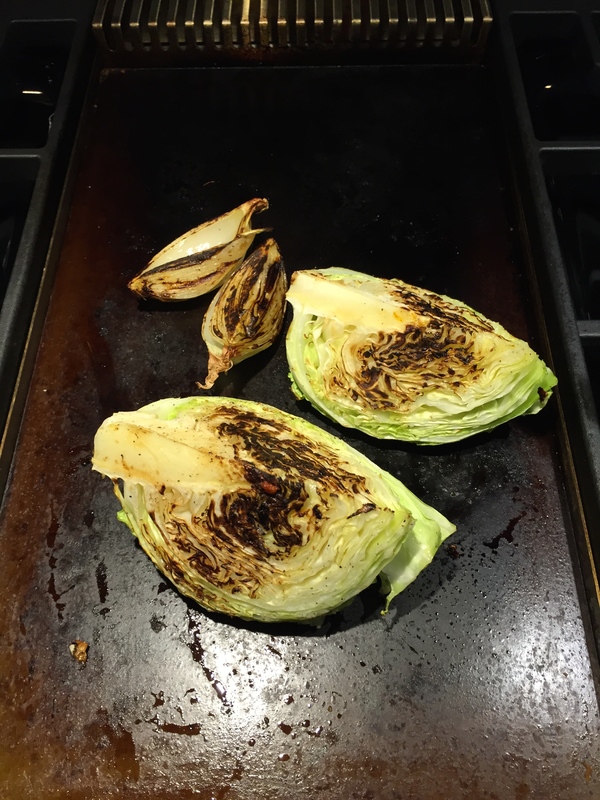 Prepare grill, griddle, or grill pan over medium high heat. 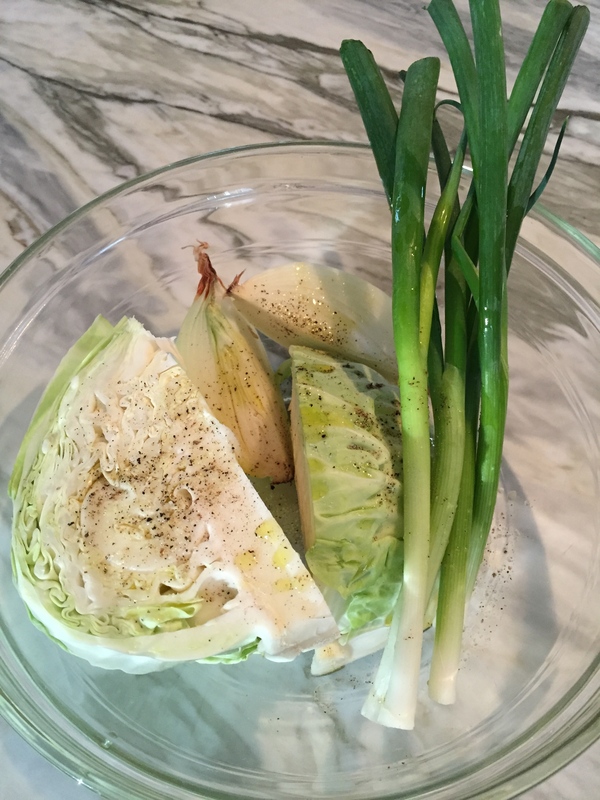 Drizzle cabbage, white onion, and scallions with 1 Tablespoon olive oil; season with salt and pepper. 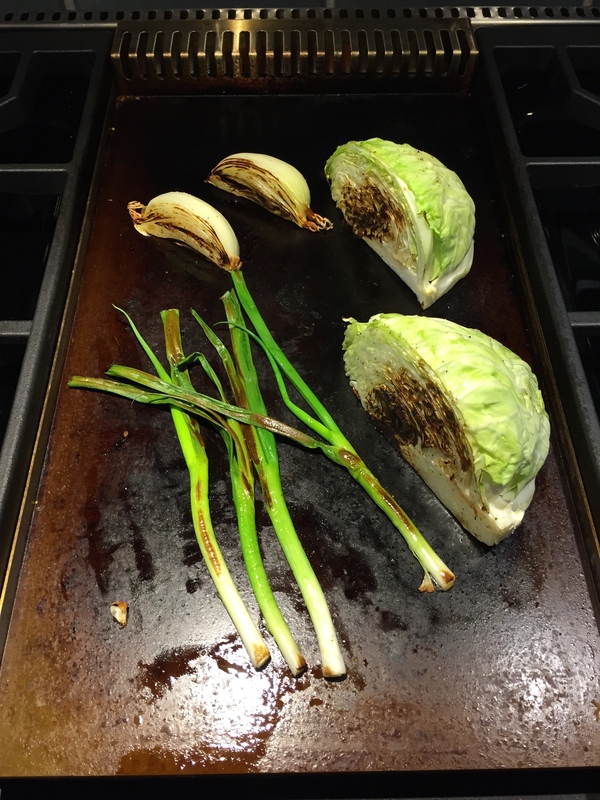 Grill, turning occasionally, until vegetables are charred and softened, about 4 minutes for scallions, 10-12 minutes for cabbage and onion. Let vegetables cool slightly. 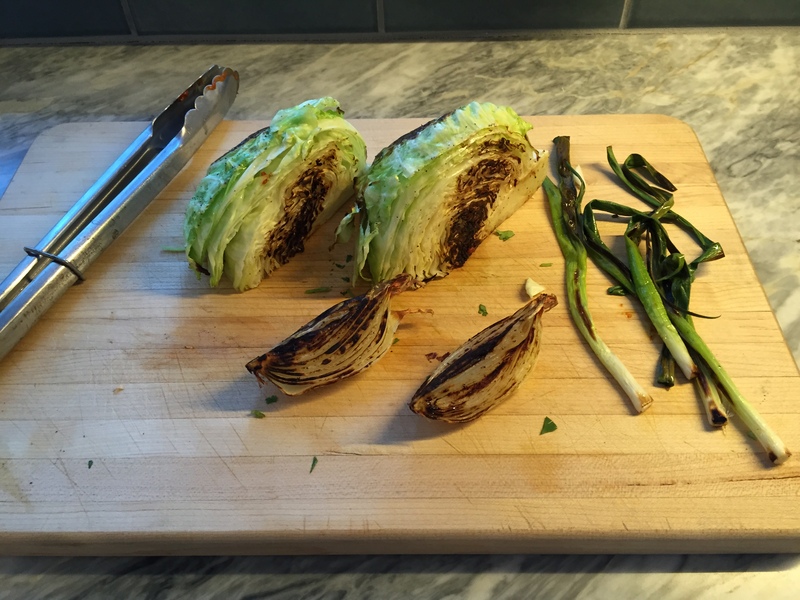 Core cabbage and cut into bite-size pieces along with scallions and onion. Toss chopped vegetables in a large bowl with red onion, lime juice, cilantro, and remaining ½ tablespoon oil; season with salt and pepper. 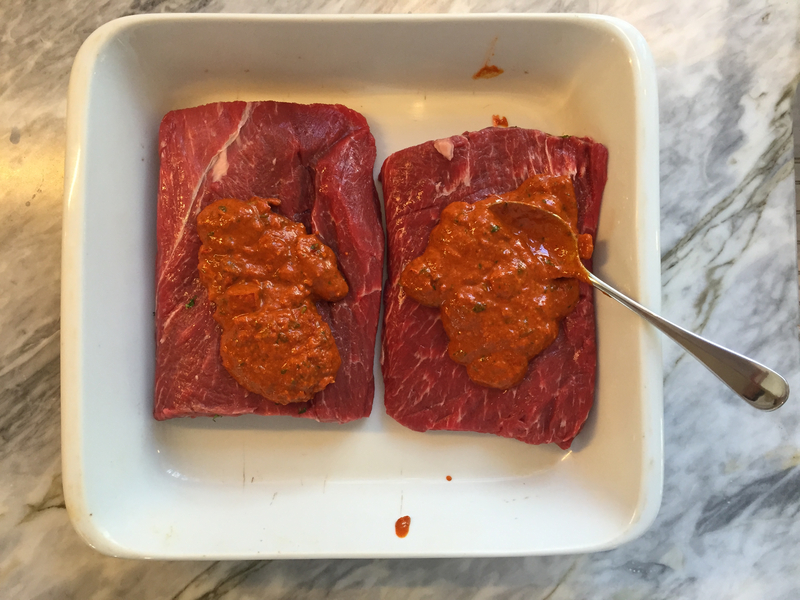 Remove steaks from marinade, scraping off excess; season with salt and pepper. Grill steak until medium rare, about 3 minutes per side. Transfer to a cutting board and let rest 5-10 minutes before slicing. Serve steak with vegetables, tortillas, guacamole, and salsa. After a whiz in the blender, you’ll end up with a thick paste. Cut the flat iron into 2 pieces, place it a casserole or ziploc bag. 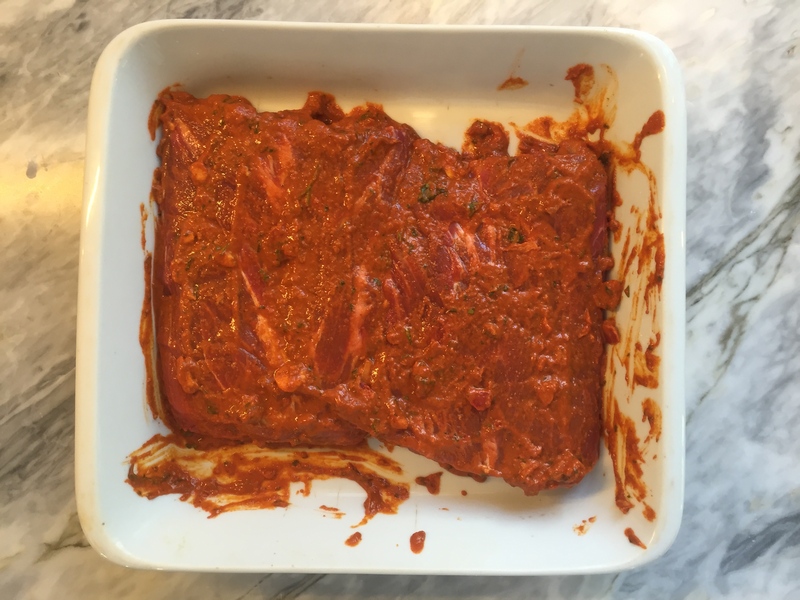 Coat with marinade. Make sure to do both sides! 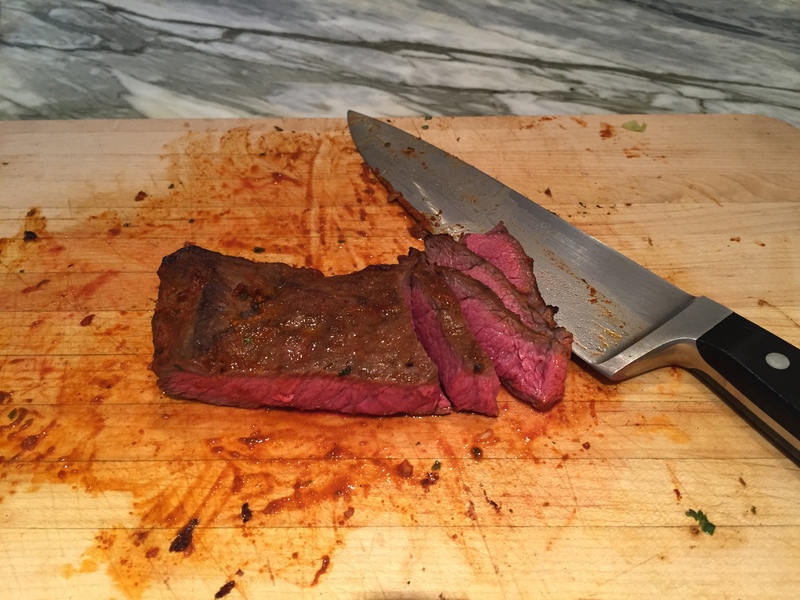 I used a flat iron steak because that was what was available at my grocery store. 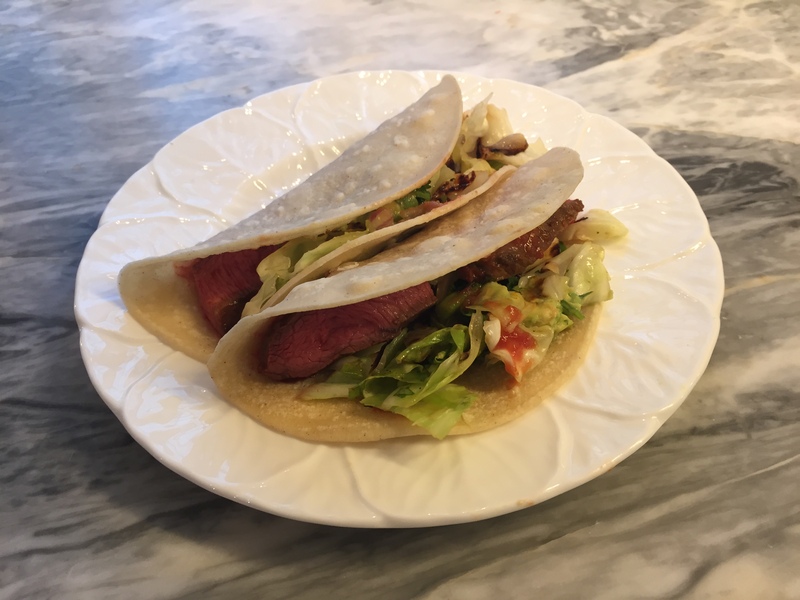 Skirt steak was called for in the original recipe; flank steak would work just as well. Chicken or even shrimp would be delicious though be aware cooking times would change. 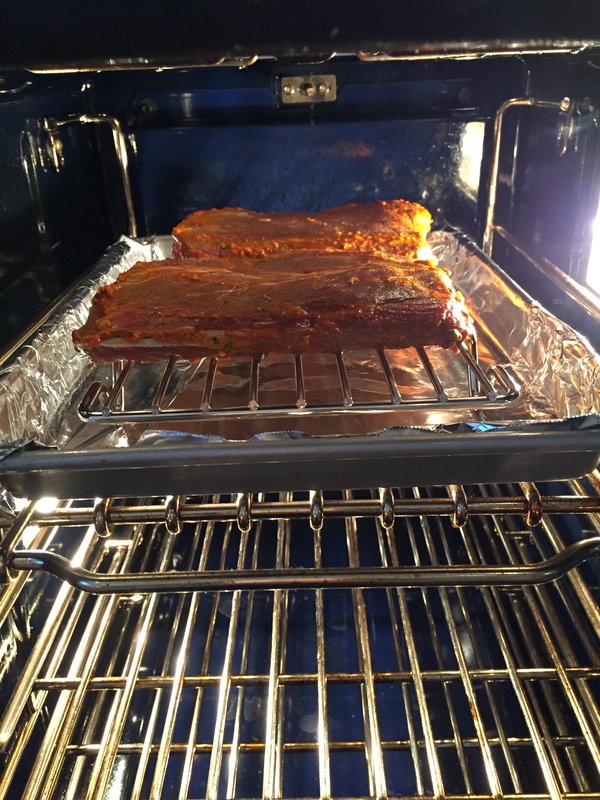 After coating both sides, cover casserole or seal bag and chill (you and the meat!) for at least 4 hours or overnight. Time to gather the vegetables. Veggies are prepped, drizzled with olive oil, and sprinkled with salt and pepper. 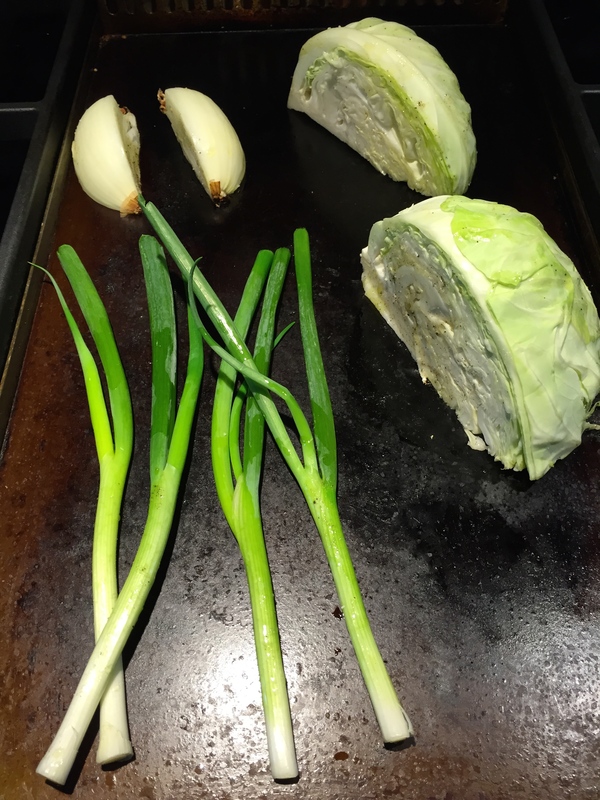 Be sure cabbage sections have core intact and onion quarters have a little bit of root left to hold them together. Onto a preheated griddle (or grill), set on medium high heat. Flip them over to char other side. Scallions are already done. 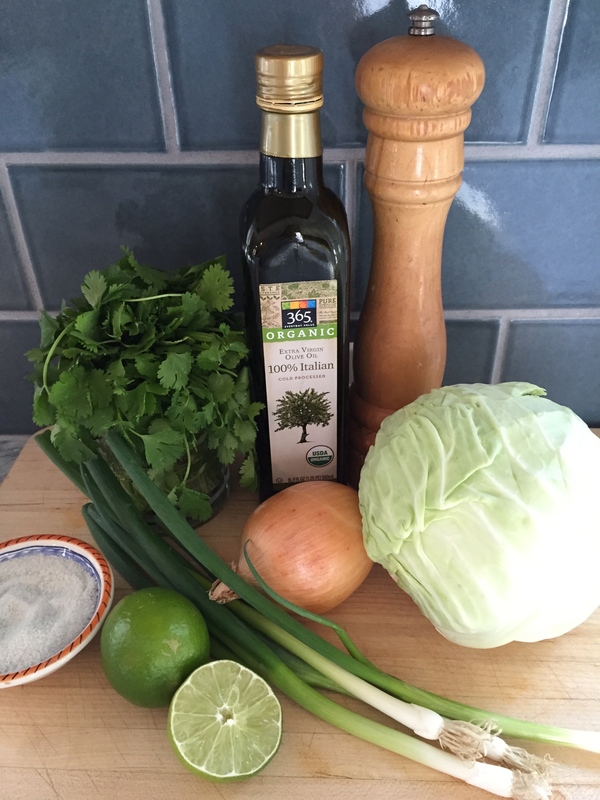 Cabbage and onion will need some more time. They should be tender, but still have some crunch. Perfect! Ready to come off. Set aside the veggies to cool while you get ready to cook the steak. Scrape excess marinade off the meat and discard. Remember to do both sides. Season with salt and pepper and place under the broiler or over a grill set on medium high heat. As you can see, I put mine under the broiler; it had just come out of the fridge, so took about 5 minutes per side for medium rare. While the meat is cooking, chop your veggies and place in a serving bowl. Toss with red onion, lime, cilantro, olive oil, salt and pepper. Remove your meat from the oven or grill, let it rest for 5-10 minutes before slicing, cutting across the grain. 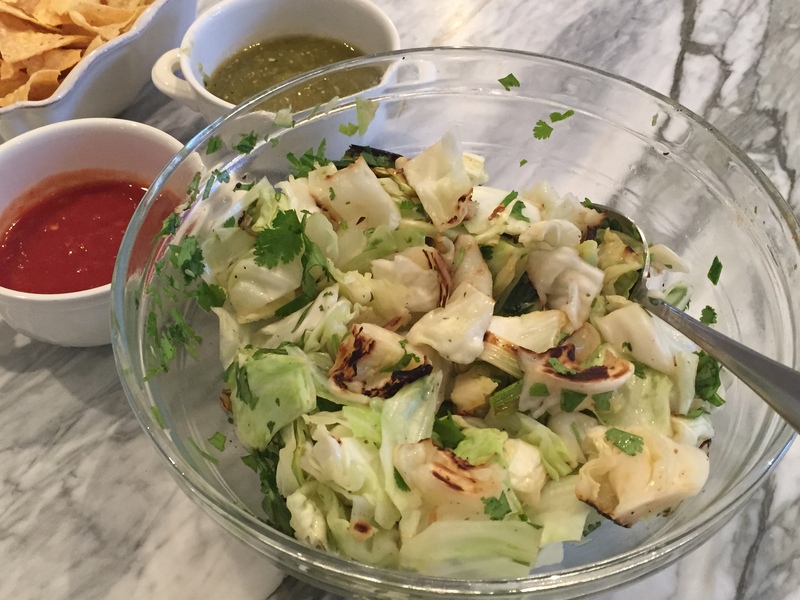 Serve with warm tortillas, guacamole, and salsa.